Because of the complex nature of chemicals, Justrite cannot offer specific recommendations on chemical compatibility. Your chemical supplier, SDS sheets, or other expert sources should be consulted. This article is offered as a guide for convenience and is not a substitute for the user clearly understanding the nature and proper use of the chemicals. To aid in your decision process to the select the appropriate Justrite product for your application, contact Justrite Customer Service to obtain sample material parts for you to test with the chemical you are using. 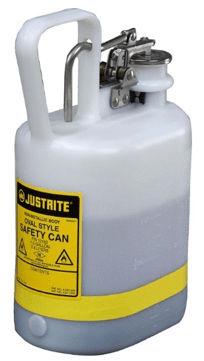 Justrite makes no guarantee of results and assumes no obligation or liability in connection with the use of these products and their application relative to their chemical compatibility. It is the end user’s sole responsibility to determine the nature of the materials to be contained and to select the proper product suitable for a particular application. Furthermore, it is the end user’s responsibility to ensure that the product selected is suitable for its intended use. 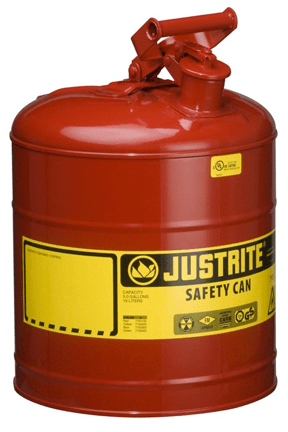 JUSTRITE MAKES NO WARRANTY, EXPRESS OR IMPLIED OF MERCHANTABILITY OR FITNESS FOR PURPOSE, and assumes no liability in connection with any product made or sold by Justrite with regard to its use or chemical compatibility. Chemical Processing. What is the effect of HCl on SS316?